Magnolia House is a residential care home for older people and has been operating as a care home since the early 1970’s. 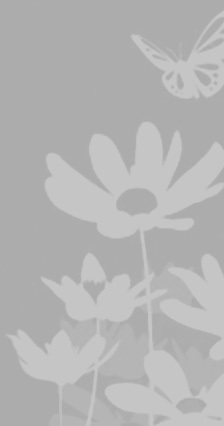 However in September 2009 it was purchased by the present owners - The Adelaide Lodge Care Home LLP has been successfully caring for the elderly since 1993. It is the Care Management team’s focus on achieving the highest standards possible with the other three care homes it operates in East Devon and we intend to bring Magnolia House’s reputation up the same level and be known as a forerunner in the provision of care for the elderly in East Devon. 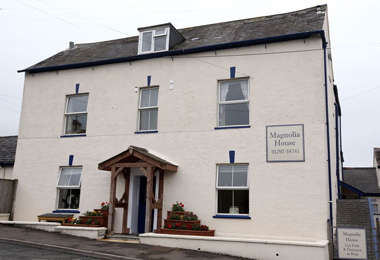 Magnolia House Care Home is registered and accredited by Devon County Council under the residential homes act of 1984 and with Care Quality Commission (CQC) for 20 residents and is located in the busy, attractive market town of Axminster in picturesque East Devon. The Home is situated on the eastern edge of the town on Lyme Road which is just a few minutes walk from the town centre, churches and amenities. The East Devon market town of Axminster, has a great deal to offer its many visitors, - a fascinating history, a lively atmosphere and miles of country walks for ramblers, being just a few of the many delights of the town.. The small ancient market town of Axminster is situated on the River Axe in the east of Devon. It is famous for its Axminster carpets. These were designed by Thomas Whitty in 1775, in a manner similar to Turkish carpets. Caster Hill House, where the carpets were originally produced, can still be seen. The carpets were of the highest quality, custom made carpets for the country’s stately homes and mansions. The manufacturing process can still be seen today by visitors to the Axminster carpet factory. Axminster’s origins date back to Celtic times and it is thought to have been first settled around 300 BC. The Saxon church of St Mary stands on Minster Green in the centre of town. It has an interesting Norman door and a Jacobean pulpit. The town has many interesting and attractive streets radiating out from the town square and the Minster church of St Nicholas. Axminster is still a pleasant, unspoilt Devon market town, surrounded by beautiful countryside and filled with charm and character. “We are totally committed to the comfort and quality of care for each resident and the individual is of prime importance at Magnolia House". Our Home prides itself on offering highly professional care with a personal touch. With 16 bedrooms, many with en-suite facilities, Our Care Home offers a safe, relaxed and homely environment. Residents are made to feel as comfortable and secure as they would in their own homes, at the same time recognising their needs. While all aids are available and staff are on hand to assist where needed, the independence of the individual is encouraged and supported so that they may enjoy their daily life in secure and friendly surroundings. Magnolia House Lyme Road Axminster Devon Devon EX13 3BH. "Mr A & Miss S are very well looked after, one hundred times better off than they were living alone and I am sure would not be with us now without all your help and that of the home and staff, thank you so much"